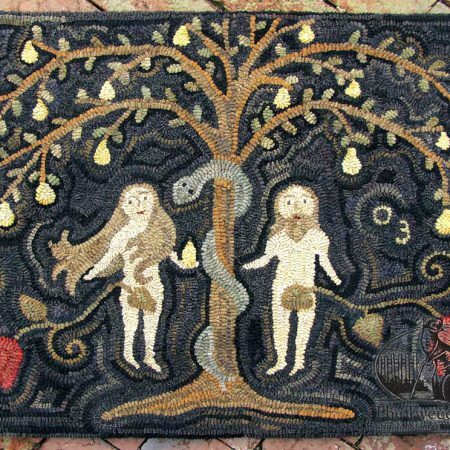 The bearded Adam, flowing haired Eve, and twisting Silver Serpent in the Garden of Eden is one of our favorite original hooked rug designs. 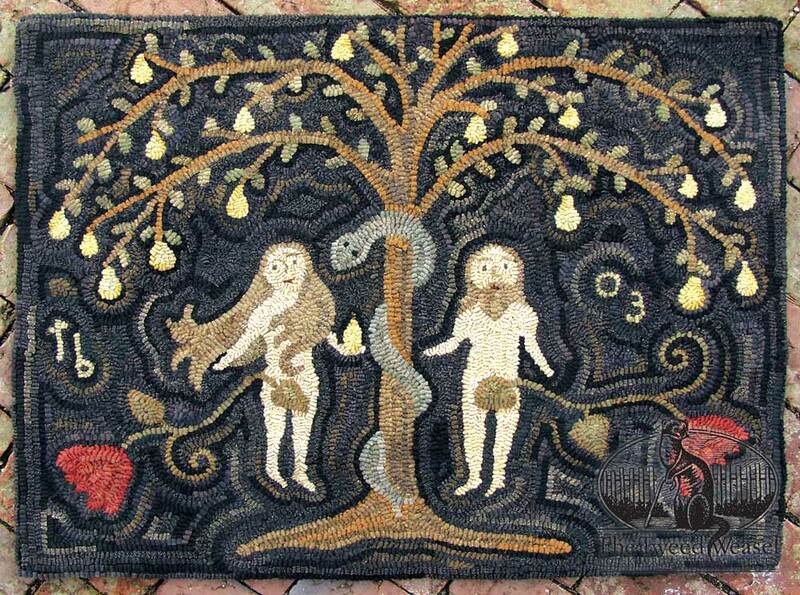 Accents include flowers, fruit, and interesting random pattern dark background. Designed and hooked by Tish Bachleda. This design was featured in Early American Life’s Annual Directory in 2004. If you prefer a different size, let us know the desired dimensions and we’ll provide an estimate. If you intend to hang this design on your wall, we do provide professional frame mounting services. Ask for details. $1,500.00 Add to Wish List What is this?